Then: Growing up, we had a large playroom in our basement. The benefits were two-fold. 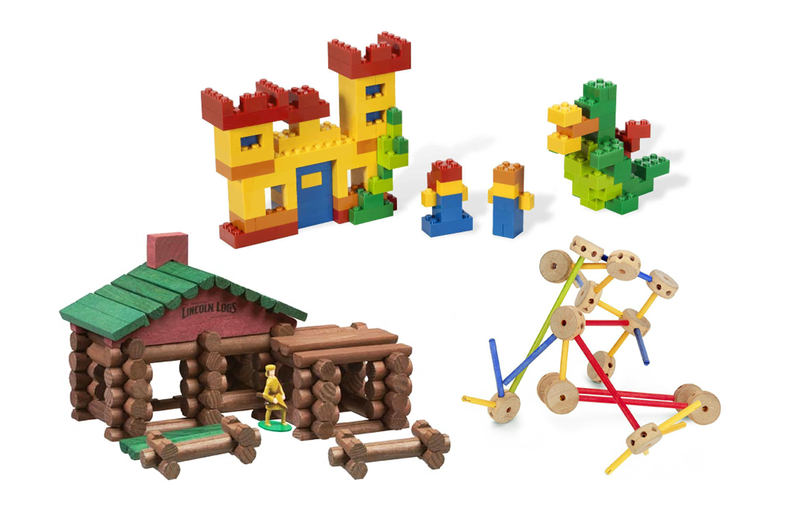 From my parents perspective, it prevented “toy sprawl.” But to me, it was the perfect place to unleash my inner engineer using construction toys like Tinkertoy, Lincoln Logs and Legos. We’d spend rainy days building and modifying cars, trucks, ships and buildings. These toys also made for some easy tie-ins to the television shows that I was fond of watching on TV. One time, for example, I built a Love Boat out of Legos and had it make a cameo appearance at a Tinkertoy version of Moon Base Alpha from Space 1999. I honestly can’t recall if Charo was the musical guest in the Acapulco Lounge at the time, but I’m willing to bet that she was. Now: Today, all these toys remain largely the same, despite their age. Lego has morphed into a toy institution, while Tinkertoy and Lincoln Logs have remained much closer to their over three-quarter of a century roots.